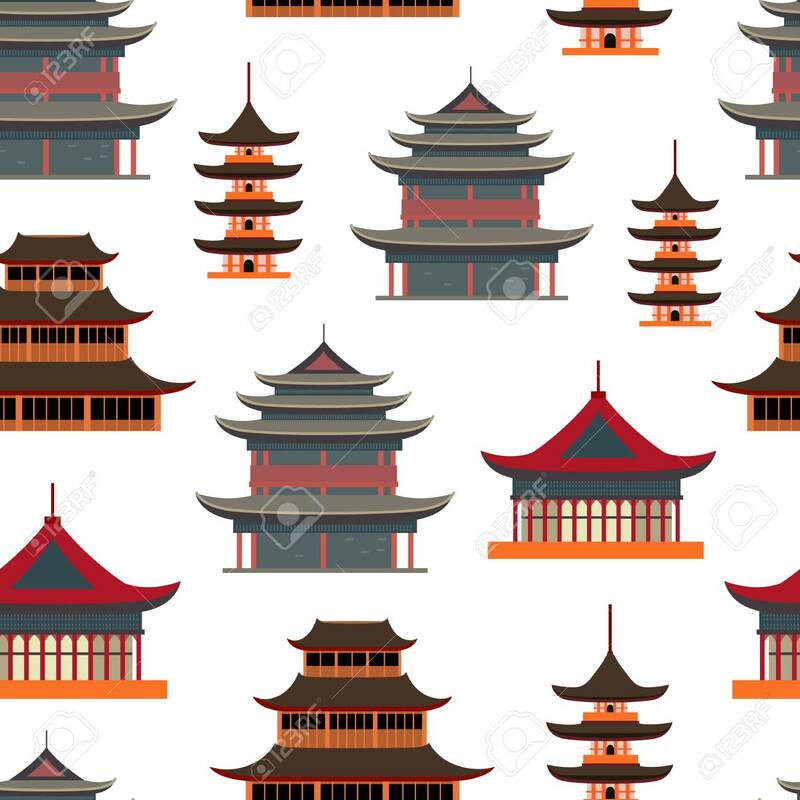 Cartoon Traditional Asian House Seamless Pattern Background On A White Pagoda Concept Element Flat Design Style. Vector Illustration Of Oriental Home Or Temple Lizenzfrei Nutzbare Vektorgrafiken, Clip Arts, Illustrationen. Image 118089070.